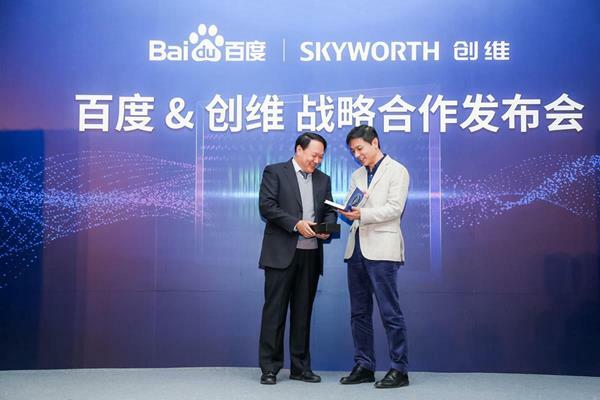 Baidu has inked a strategic partnership with Skyworth, a Chinese electrical household appliance maker, to develop a fully-integrated in-home ecosystem powered by artificial intelligence. Baidu also announced an investment in Shenzhen Coocaa Network Technology Company (Coocaa), a subsidiary of Skyworth. Coocaa, the internet TV brand and intelligent operating system for Skyworth’s products, will be integrated with Baidu’s conversational AI system DuerOS, said the companies in a statement. Coocaa is one of the largest smart TV OTT platforms in China with over 28 million terminal devices. As of January 2018, the number of smart devices equipped with DuerOS exceeded 50 million.